I have been with those who have had jet lag and I can see it is not the healthiest way to start your trip! Jet lag really cuts into your trip and causes those that have it to lose out on those healthy travel experiences that I wrote about recently. I hope I can help those that suffer from it to avoid it completely with my proven method as it works! Ok. So, enough pontification on me and my lack of jet lag. Come see what I do that may help you avoid jet lag in the first place and start your trip off right – the healthy way! There are plenty of actions you can take to avoid that list above and make your adaptation to your new time zone a whole lot easier and a lot more fun! Scan on below where I have broken down easy things to do a few days before your trip, during the flight and how to get settled in after you arrive to begin your adventure off to the right start with energy, vitality and ready to experience new things! 1. Start extra hydration a day or two before you leave. Air travel is incredibly dehydrating and dehydration always makes you feel more sluggish. Your body will appreciate the extra water levels before the cabin door is closed. Don’t miss this: Sure, you have heard, water is critical for good health, but you will be surprised water can do all this! 2. A week before departure, start shifting your bedtime and wake-up times. Move them slightly to get closer to the time zone of where you are traveling. Even a small shift can make it easier to adjust. 3. Plan your flight to arrive in the daylight. This may work for you because you will psychologically align with the hustle and bustle of where you have arrived and find it easier to get with the flow. 4. Conversely, arrive late at night. This has worked for me really well as I just went straight to sleep when I arrived. I woke up the next day ready to go fully adjusted to the new time. 5. Catch your zzz’s before you leave. You may think staying up all night will make you so tired you will fall asleep easily on the plane but you never know who you may be sitting next to, in front of or behind and the disruptions may be great. Best to be fully rested before you embark on your journey. Don’t miss this: So, exactly how many hours do we need to sleep each night for best health? Hit this link to see what science says. 6. Create a calming playlist to lull you to relax and lull you to sleep. A playlist of songs that calm you is a great way to block out plane noise or the guy next to you! Check out this app with free mellow sounds to download. Don’t miss this: Free playlists can be created easily and here is where to go. 7. Purchase a travel “white noise” maker. I love this tool! The white noise maker I use masks hotel disturbances and creates an even hum that helps quiet my thoughts and block noisy hotel hallways. It is a really great tool for babies and kids, too! 8. Pack a useful carry-on. Pack your carry on with lip balm, moisturizer, lemon water, a variety of filling and healthy snacks, your iPod (with those calming songs), eye cover, pillow case, etc. Don’t miss this: I have a complete list of carry-on items that will make your next flight so much more comfortable. It is a naturally secreted hormone in humans that affects the body’s circadian rhythms. There is some evidence that when administered during the day, melatonin increases the tendency to sleep better at night. Click here for more information, but absolutely consult your doctor first before leaving town and taking it with you. Water that is. Yes, try a big glass every 60-90 minutes that you are awake. It will only mess up your sleep patterns and make you even more dehydrated causing a headache when you land. Steer away from tea and coffee. Try chamomile tea instead if flying at night. Find the time where you are going and begin setting your mind and body to that time. 5. Leave the sleeping pills alone. They’re not worth it. They will do nothing to assist the jet lag and will just leave you feeling groggy when you land. 6. Keep germs at bay. I wipe down the tray with these wonderful smelling natural antiseptic cleaning wipes and use a pillowcase I throw in my carry-on to cover the pillow they provide to avoid germs from a fellow user. I also pack warm socks and a small blanket or shawl that I bring with me for extra warmth and skip the one the airline provides. 7. Prep for sweet dreams.If flying at night, prepare for the end of the day. Get in line for the bathroom and remove contact lenses and make-up with facial clothes you packed as well as brush your teeth and apply lots of moisturizer and natural lip balm without the chemicals near your mouth and whatever else you normally do to prep for sleep time. Bid your seat mates a good night and tune out the world with your eye covering, ear buds with soothing songs and try your best to slumber off. Walk up and down the cabin every hour or so you are awake to keep blood clots from forming and keep your circulation going and swelling down. If it is a long flight, you may want to consider compressions socks like these highly rated ones that can help with potential blood clots issues. They come in all kinds of colors, too. When you arrive, your jet lag plan is still in full throttle as much of your success avoiding jet lag has to do with how well you sleep once you get there! Follow these tips with that aspect of your arrival in mind. More water. Dehydration can set in later and just make you feel awful. Just keep up the healthy habit. Put a big glass by your bed at the hotel or wherever you are staying so you don’t have to go stumbling around in an unfamiliar place in the dark in case you wake up thirsty! 2. Make friends with the front desk. Ask the hotel for voice mail services if available so that calls will not awake you. And while you are at it, ask for a wake-up call in case you miss your phone alarm, etc. You will not lie awake worrying about it because you have a back-up. 3. Before unpacking, check the room for potential sleep disturbances. This could include having a room near the elevator or ice room, drapes that do not close properly, previous smoker, etc. Asking to switch rooms before you unpack may be a good idea. 4. Take a walk in the sun. If it is daylight when you arrive, take a short stroll to see what is around your hotel, get your blood circulating after all that sitting and besides, daylight is a powerful stimulant for regulating the biological clock. Don’t miss this: Did you know that what you eat can affect your risk for sunburn? It is true. Find out what to chew to protect your skin from the sun here. 5. Keep your first meal light. Of course, enjoy the cultural cuisines, but don’t eat a rich meal first thing. Your body is adjusting and does not need the extra work of digesting a huge meal. Really try and get in the swing of the schedule of where you are visiting. Try your best to stay awake to at least to 9 p.m.
7. Keep a low profile. If possible, keep the first-day mellow to adjust. Go to a park to people watch and have a picnic, eat a light meal at a cafe, stroll the beach, etc. Following these simple anti-jet lag measures should put you in a great position to feel great with lots of energy making the most of those amazing travel adventures! Make sure to bring back home these life-changing items from your travels! Make those travel wishes a reality with this step-by-step plan to save for your dream trip, design it and enjoy every minute! What about you? Please add any tips you have in the comments and include any exciting destination, please! ake a mild over the counter sleeping pill. I use Unisom. After arriving stay awake until your normal bedtime, then take another sleeping pill and sleep all night. The following day, feel refreshed. Glad you found something that works for you! Happy travels! Glad you learned something new here! 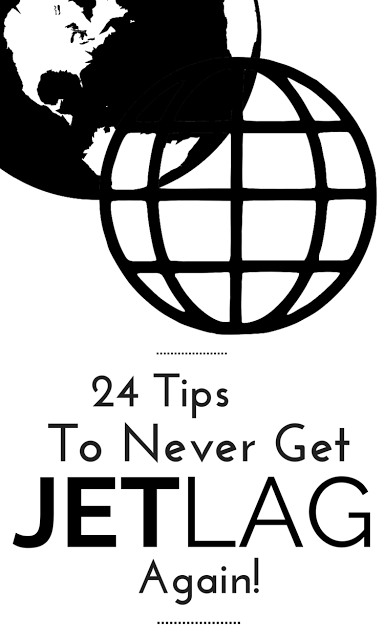 I do hope these tips help you as I think it is the combination of a lot of things that before, during and after that do the trick to eliminate jet lag! Best of luck next time you hit the skies! Thanks for adding in. Great tips! I haven't flown lately but when I do I always get jet lag! Oh no! It does not have to be! Hope next time you fly, you will try this method to begin on a better foot, Annmarie! Thanks for stopping in. These are awesome tips! I'm heading to Europe in the fall, so I'll definitely put these to use! 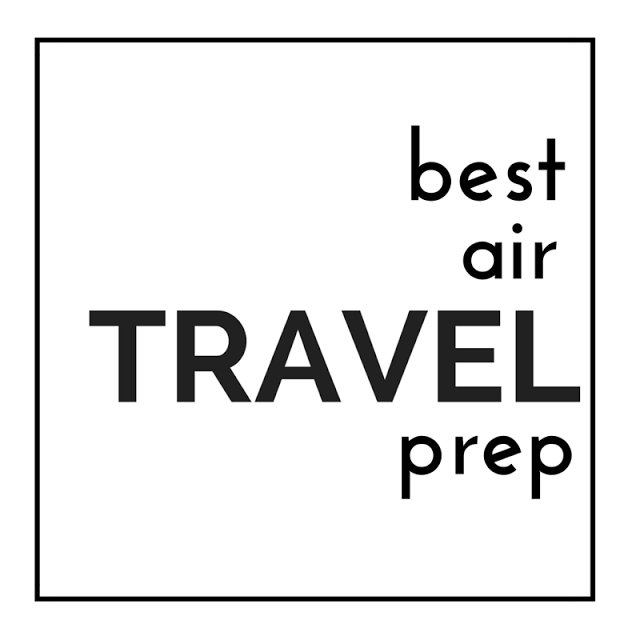 Nicole – glad to help you prep for a great trip! Europe is beautiful and don't waste time with jet lag! Hi Lori, The Pit Stop Crew chose this post to be Featured. See it on Friday, well done. Thank you, Kathleen! Excited to hear it! Amazing! I suffer from awful jet lag, and I'm travelling this summer. Thanks for the tips. Fantastic that you are traveling this summer! Please do try this method and banish that jet lag to get on with your adventure! Have a wonderful time, Janice! I am really sensitive to switching sleep schedules, so jet lag always gets me! Great tips though. It makes the trip so much easier if you do your prep work. It really does, Julie. I hope you can try this method and achieve success on your next travels! Thanks for adding in! Interesting topic. As someone who flies back and forth to Panama quite a bit, I like the idea of some of these tips to help ease my transition. It's true; you want to make the most of your vacation / new terrain and not be sleepy or irritated! Yes! Don't waste a second feeling poorly or fatigued. Please do try this before, during and after method and I think you will be raring to go! Happy travels, Cayanne! It had been ages since I last experienced jetlag, but this year I felt on my way to Brazil and back. It surely had to do with hormones too, but it's quite a pain. Thanks a lot for the tips. I'll save them for next time. That is a long flight! Sorry to hear you experienced that travel killer! Please do consider the tips here before, during and after your next long trip, Debbie! Thanks for popping in! That is a favorite time to arrive for me when I can make it work. It works great! Thanks for coming by, Launna, and always adding in here at THM! Thanks so much for stopping by! Always love hearing from you!